Christina, the sole heir to the estate and title of her father, King Gustav II Adolf of Sweden, became queen upon his death in 1632. However, until she reached majority, in 1644, the country was ruled by a regent. Called the “Girl King,” Christina’s frank, unself-conscious demeanor and her penchance for masculine clothing became legendary, as did her refusal to marry. Endowed with a keen intellect and a healthy skepticism, she was, in effect, a lifelong student. At the age of twenty-three, she invited René Descartes to court as her tutor in philosophy; he was one among many foreign writers, musicians, and scholars to visit Sweden at her behest. Her decision to abdicate in 1654 sent shockwaves through Europe. She left Sweden immediately and, having secretly converted to Catholicism, settled in Rome, where she established a brilliant salon attended by all the city’s luminaries. Christina did not entirely give up aspirations to power—twice she attempted and failed to become a sovereign ruler, in Naples and Poland. Her legacy lies in her discerning patronage of arts and letters. 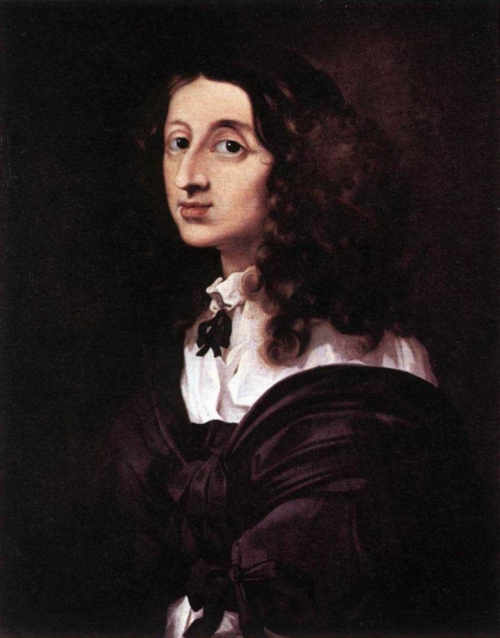 Among her many achievements: she founded the Accademia dell’Arcadia for philosophy and literature, built an observatory in her palace for astronomical studies, instigated the first public opera house in Rome, assembled a magnificent collection of Venetian art, and authored a manifesto defending the Jews of Rome (1668). An unfinished autobiography was published after her death.